Evergreen tree. Best if protected from frost. Large, tender, and very juicy lemon. 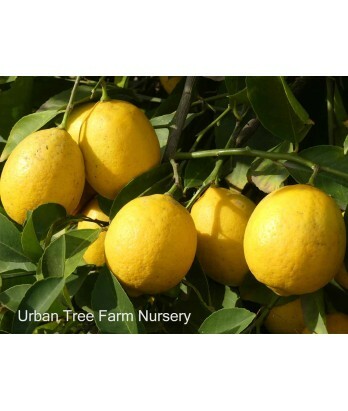 Extraordinarily sweet for a lemon with a thin rind and light orange-yellow flesh color. All citrus are heavy feeders. Regular water needs in well-drained soil once established.